CC100 draws a direct lineage from DBR1 - a true racing icon and one of the most famous Aston Martins ever created. As the most successful racing car ever made by Aston Martin, the pinnacle of its success came in 1959 where it won the both the 24 Hours of Le Mans and the 1000km of Nürburgring. Produced as a pure racing model - not derived from a road car, five examples of DBR1 were made, four used by the Aston Martin works team and one for private use - the cars are named as DBR1/1, DBR1/2, DBR1/3, DBR1/4 & DBR1/5. Designed by Ted Cutting under the guidance of company owner David Brown, the car made its debut at the 1956 24 Hours of Le Mans, crewed by Reg Parnell and Tony Brooks. 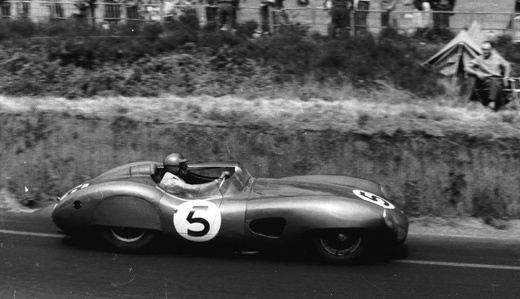 With a full series debut in 1957 and a subsequent engine upgrade, the 1957 1000km of Nürburgring saw DBR1/2 gain its first high profile win at the hands of Tony Brooks and Noel Cunnigham-Reid, beginning the love affair between Aston Martin and the world’s toughest race circuit which still endures today. 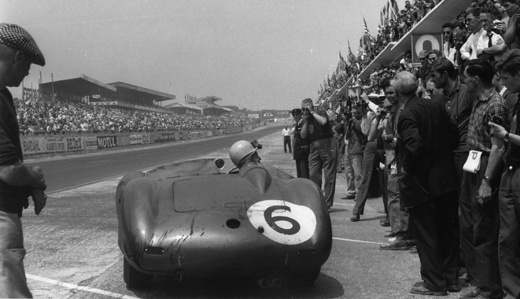 A further win in the 1958 and 1959 1000km of Nürburgring, driven by Sir Stirling Moss and Jack Brabham (1958) and Moss & Jack Fairham (1959) ensured the Aston Martin team approached Le Mans with confidence. Stunning success followed with DBR1/4 driven by Maurice Trintignant and Paul Frere taking second place a finish only bettered by Carroll Shelby and Roy Salvadori as they took DBR1/2 to victory. 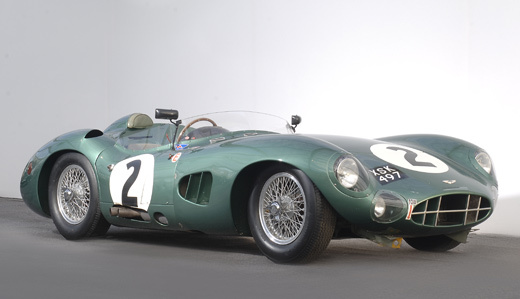 With Aston Martin’s subsequent move into Formula One all DBR1 cars were sold to privateers with mixed success. 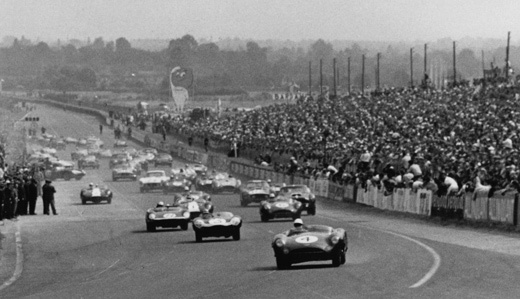 All the cars were retired from racing by 1963. With four of the five models still in existence they represent an integral part of Aston Martin's rich racing history, combining advanced engineering with exceptional design. These two distinct Aston Martin strengths are echoed today with the reveal of CC100, a contemporary reimagining of an Aston Martin speedster. A car that encompasses the purity of design and purity of spirit present in DBR1 over fifty years ago. Suitably revealed in the company of Sir Stirling Moss at the Nürburgring, CC100 pays tribute to DBR1 whilst lighting the way for future Aston Martin race success.